What we do is different. The modern investment club movement was a big tent … and a considerable bandwagon. Unfortunately, people’s capitalism and the stewardship of common stock OWNERSHIP has hit a bit of a speed bump, or worse. It’s pretty clear that some WD-40 is needed. The results achieved by the persistent are compelling. But too quiet. What we do is different. We have no problem with things like discounted cash flow analysis — we believe that we’re chasing fewer variables and that SIMPLER is usually better when it comes to the realm of investing. 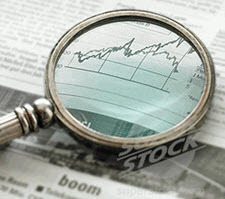 Amidst the chaos, turbulence and avalanche of information, we find it rewarding and seemingly more reliable to focus on growth, profitability and valuation in a different kind of model. As is often the case, an event like last week’s Morningstar Investment Conference serves to remind about the value of being simple … and different. The audience gasped when Keith Lee of Brown Capital Management confessed that in 25 years of successful investing that he’s never owned a financial sector stock. In his own words, Brown is “sector benchmark agnostic.” Brown Small Company (BCSIX) has a 10-year relative return of +5.7%. Keith Lee and Brown Capital Management are different. The average Value Line low total return forecast for the companies in this week’s update batch is 4.8% vs. 5.6% for the Value Line 1700 ($VLE). Normally we exclude (filter out) those companies with quality rankings less than 60. We left them in to make a point. When a bull market has been running for a while — and is perceived to be in jeopardy — investors and traders will flock to defensive stocks. The companies with high EPS stability and high quality will see their return forecasts driven down as they’re overbought if seen as sanctuaries. This week’s list and update batch is evidence of that. There are a number of companies in the update batch that would be most welcome as core holdings in many of our portfolios including the likes of Bemis (BMS), Kimberly Clark (KMB), Sonoco (SON) … but the average MANIFEST Ranking for the Issue 6 companies is 44. In other words, the average company in this update is outranked by 56% of the companies in our database. The reason behind this is related to the flight to quality in many cases. 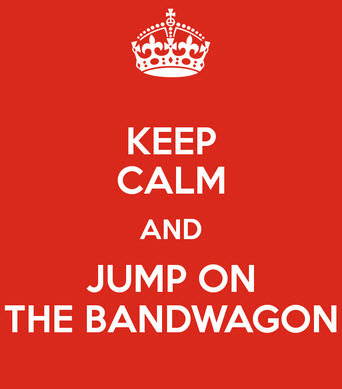 In most cases, it makes sense to wait for a Better Bandwagon. Value Line Low Total Return (VLLTR) Forecast. The long-term low total return forecast for the 1700 companies featured in the Value Line Investment Survey is 5.6%, unchanged from 5.6% last week. For context, this indicator has ranged from low single digits (when stocks are generally overvalued) to approximately 20% when stocks are in the teeth of bear markets like 2008-2009. The Long & Short. (June 24, 2016) Projected Annual Return (PAR): Long term return forecast based on fundamental analysis and five year time horizon. Quality Ranking: Percentile ranking of composite that includes financial strength, earnings stability and relative growth & profitability. VL Low Total Return (VLLTR): Low total return forecast based on 3-5 year price targets via Value Line Investment Survey. Morningstar P/FV: Ratio of current price to fundamentally-based fair value via www.morningstar.com S&P P/FV: Current price-to-fair value ratio via Standard & Poor’s. 1-Year ACE Outlook: Total return forecast based on analyst consensus estimates for 1-year target price combined with current yield. The data is ranked (descending order) based on this criterion. 1-Year S&P Outlook: 1-year total return forecast based on S&P 1-year price target. 1-Yr “GS” Outlook: 1-year total return forecast based on most recent price target issued by Goldman Sachs.